If you have any doubts about the appropriate level of automobile coverage that’s right for you, we have excellent plans available through reputable auto insurers, and we will be happy to help pinpoint the coverage best suited for your needs. Property coverage pays for the damage caused by you to another vehicle or property. Liability coverage pays for your legal responsibility to others for bodily injury. Medical coverage pays for the cost of treating injuries, rehabilitation and sometimes lost income and funeral expenses. Comprehensive coverage pays for damage to your vehicle for losses not resulting from a collision. Collision coverage pays for damage to your vehicle caused in an accident. Roadside Assistance pays for towing or labor expenses when your vehicle breaks down or won’t start. 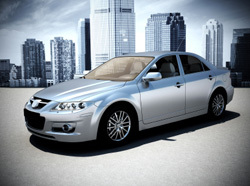 Rental Reimbursement pays for the cost to rent a car while your vehicle is being repaired. It’s really about protecting yourself financially. If you are in an accident or your car is stolen, it costs money, often a lot of money, to fix or replace it. If your passengers are injured in an accident, medical costs can be extremely expensive.